Tonight’s dinner made a huuuuuuge mess in the kitchen. Thank goodness it was delicious. 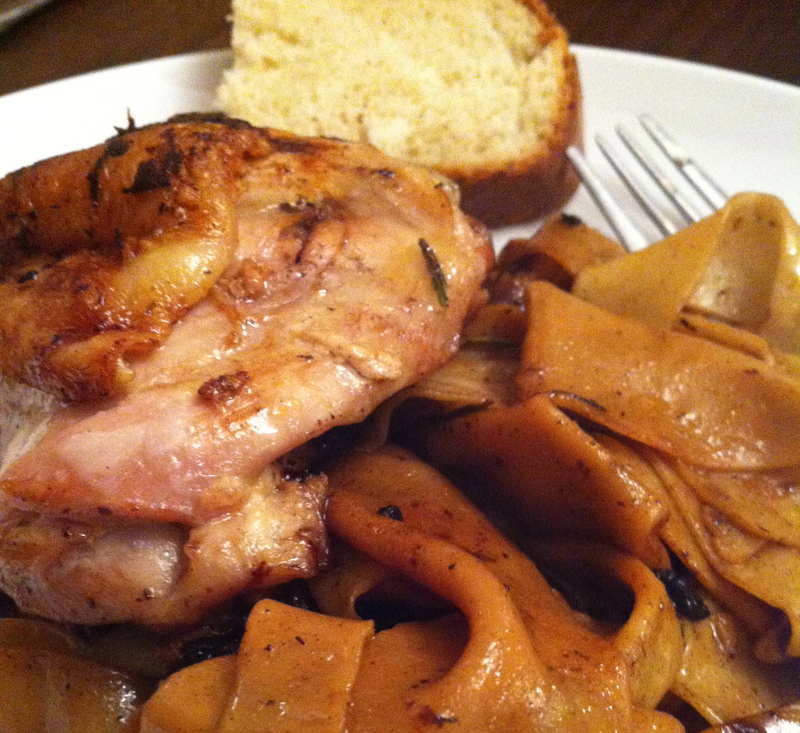 We had Provençal Sauteed Chicken with Garlic and Rosemary over homemade Pappardelle (flat wide ribbons of pasta) and Rustic White Bread. The chicken was from Serious Eats, the Carbs were from America’s Test Kitchen – the Family Cookbook (the BEST cookbook ever!). We were having friends over for dinner and from who-knows-where, I got this spurt of energy during the babies’ morning nap. I made pasta and bread and swept the floors and tidied the house and made a stir fry for lunch. Of course the ‘clean’ house lasted all of 3 minutes once the babies were up. Finally, I don’t own a pan big enough to make all the chicken at once, so I had to make it in two pans, which is fine, but that meant I had to double all the pan stuff = everything but the chicken. I think I did something wrong because the chicken was good and all, but the ‘sauce’ looked NOTHING like the picture. It ended up tasting more like fried chicken without the breading and the sauce was more like flavored oil…. 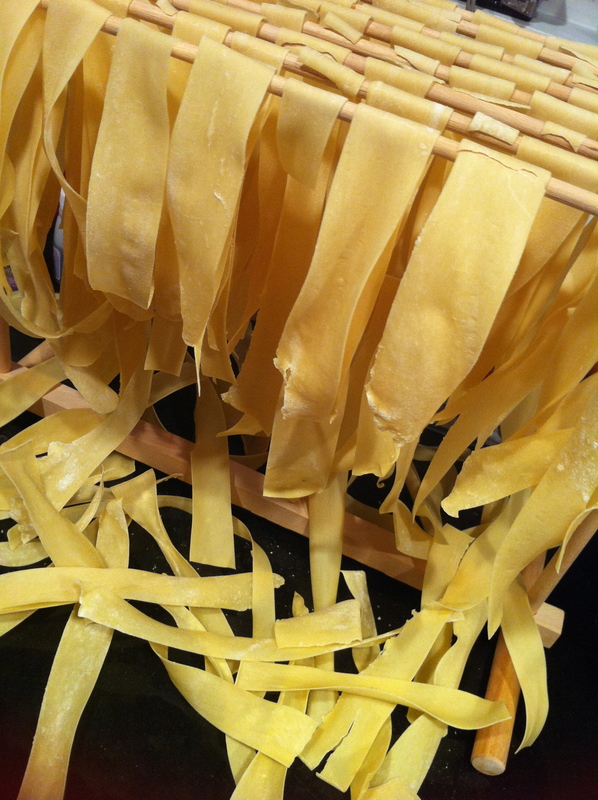 but our friend suggested I toss the pasta into the sauce and the starch will thicken it up – which it did. YAY! Lucky for us (=me) we have such WONDERFUL friends who eat and laugh and make me feel better about my cooking. Of course, a bottle of wine is always a good addition too. **By the way: The babies were too impatient to wait for the chicken to cook through, so they had grapes and penne and some bread for dinner. They really liked the middle of the bread. Not so much the outside. Can’t say I blame them. 1- In food processor: Pulse Bread Flour, 2 Cups AP Flour, Yeast & Salt to combine. With processor running, pour in water and honey and process until a rough ball forms (30-40seconds). Let rest 15 minutes, then process for another 30 seconds longer. Turn out onto a counter and knead by hand to form a smooth round ball (about 5 minutes), adding additional 1/4 cup AP flour as needed to prevent the dough from sticking to the counter. Transfer to a lightly oiled bowl, cover with plastic wrap and let rise until doubled in size (1-1 1/2 hours). 2- Turn dough out onto a clean counter and gently dimple with your fingertips. Then pull in the edges to the center and roll the dough folded-side down and round it with cupped hands to form a tight ball. Place it on a Silpat or sheet of parchment paper and cover loosely with lightly greased plastic wrap. Let rise until it is nearly doubled in size (1-1 1/2 hours). 3- Adjust oven rack to the lowest position, place a baking stone on the rack, and heat the oven to 500°. Let it heat for at least 30 minutes – not longer than 1 hour. 4- Immediately before baking, slide the dough (and either a Silpat or the parchment paper) onto an overturned baking sheet to transport to oven. 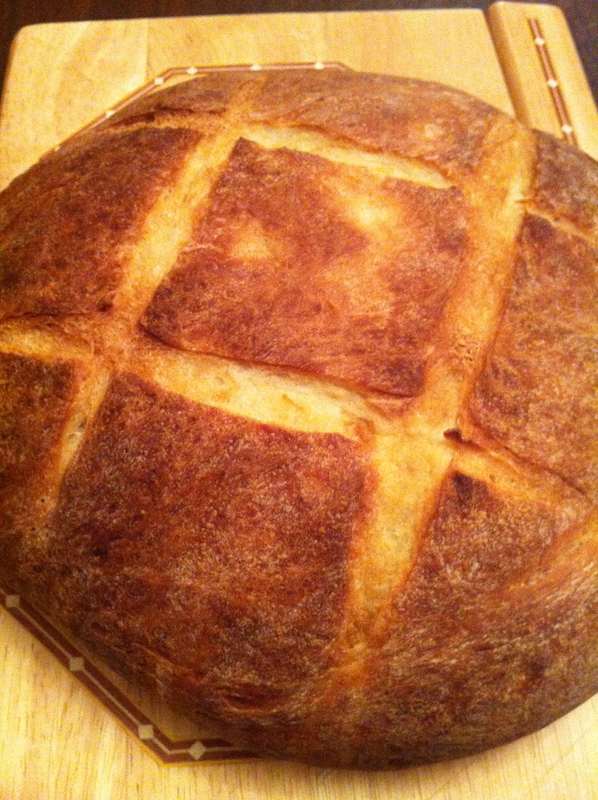 Use a sharp knife to score the top of the dough and spray the loaf thoroughly with water. **I don’t have a shpritzer, so I just used wet hands to rub the dough down. 5- Slide the Silpat/P.Paper with the loaf onto the baking stone and bake until the load is a spotty golden (about 15 minutes), spraying the loaf with water every minute for the first 3 minutes. **Again, I used wet hands. 6- Reduce oven temp to 400° and continue to bake for about another 25 minutes. **Keep checking your loaf. At 15 min mine looked it was on the verge go turning black and burning into a sad little pile of crumbs. 7- Transfer to a wire rack and let cool to room temp before slicing (about 2 hours). 2 Tablespoons Butter **I used Earth’s Best Margarine, and I used this much in each pan. 2 Tablespoons Shallots, minced **I don’t have any on hand, so I subbed in a small red onion. They’re cousins. It doesn’t count as a substitution. 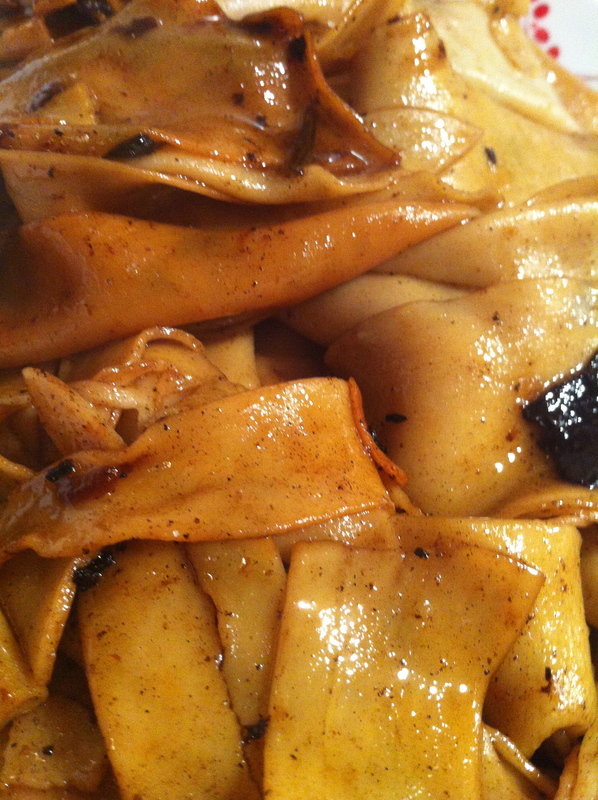 1/2 cup Dry White Wine **Martha Stewart said to use Dry Sherry instead of white wine. It lasts longer in the pantry. Does that count as a substitution? 3/4 cup Chicken broth **I used Veg Broth. THAT is a substitution. I’ll count that as my one substitution in this recipe. 1- Season chicken pieces on both sides liberally with salt and pepper. Heat olive oil and 1 tablespoon butter over medium heat in heavy skillet large enough to hold pieces comfortably until butter foam has subsided. Add chicken pieces skin-side down and cook undisturbed until skin is crisp and golden brown, about 10 minutes. 2- Turn chicken pieces over and add garlic and rosemary to skillet. Continue to cook for 10 more minutes. 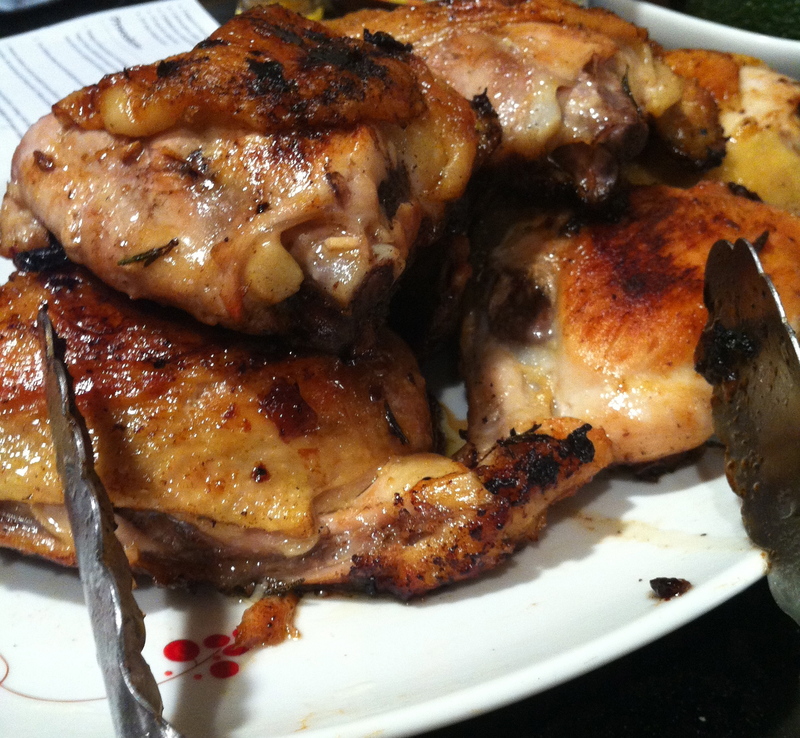 3- Remove chicken to rest and carefully remove all but a few tablespoons of fat from skillet. Add shallots and cook for 30 seconds, then add wine and chicken broth. Scrape up pan juices from surface and reduce sauce by half. 4- Return chicken pieces to pan skin-side up and cook, covered, until chicken is cooked through. Add remaining tablespoon of butter to skillet to finish sauce. 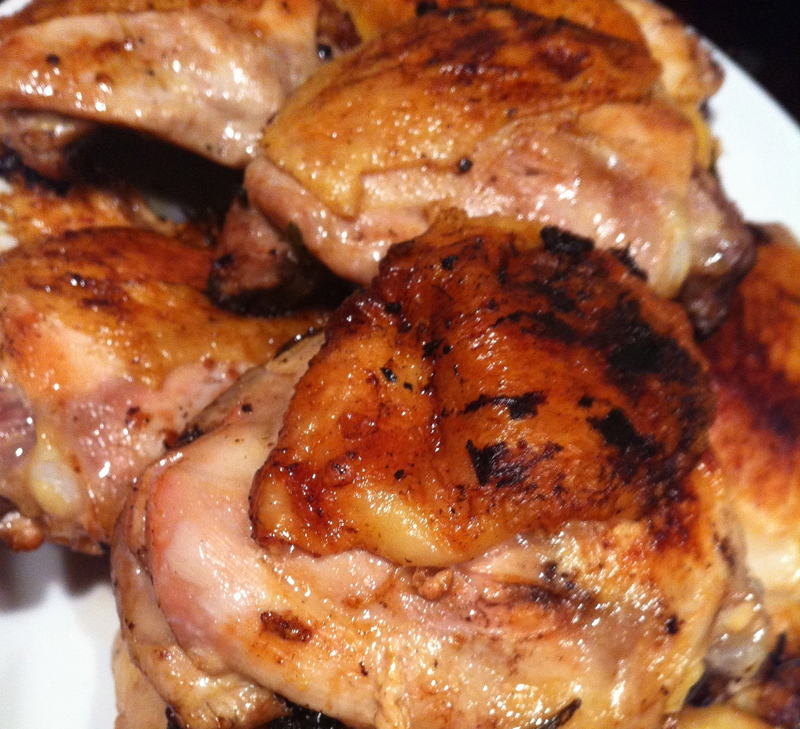 Serve chicken immediately with sauce draped around it. **MY sauce didn’t ‘drape’. It looked like a greasy mess. I tossed the drained pasta straight into the frying pans and swirled it around a bit. It did – thankfully – absorb all the…uh…flavor. It glistened. THANK GOODNESS it was delicious.